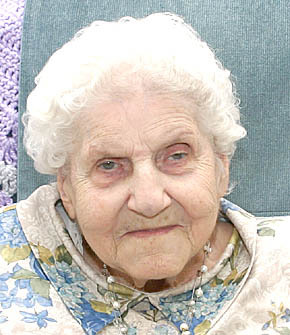 Elenora Briese of Albion celebrated her 100th birthday on Sunday, May 15, with every member of her family present. Mrs. Briese was forn May 16, 1911 at Pender, and the family moved to Albion when she was 12 years old. She graduated from Albion High School in 1928, and she was married to Paul Otto Briese on Feb. 10, 1931. She has three children, nine grandchildren, two great grandchildren and one great, great grandchild. Details in the May 25 Albion News Print and Electronic Editions.